Change is the nature of organisations today. Resisting change has been around a lot longer – it's as much a part of human nature as the desire to grow and improve. Getting 'buy in' to doing things differently is the most important factor in ensuring that a change initiative will be accepted and continued. 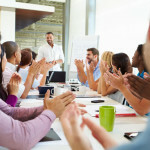 The intention of most 360° feedback programs is to help managers change their behaviour in ways that will benefit themselves, their staff and peers, and the organisation as a whole. However, many programs don't achieve their full potential and instead arrive at unintended consequences such as lowered trust. In this whitepaper, we look at three ways to maximise the change and drive results for the long term. 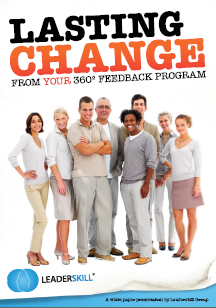 360 Degree Feedback: Creating Lasting Change.